SPARTA, NJ – The NJ Department of Environmental Protection Division of Fish and Wildlife has proposed a Forest Stewardship Plan for the 3400-acre Sparta Mountain Wildlife Management Area that would remove between 100-300 acres spread over multiple cuts of canopy forest over the next ten years to create habitat for “young forest” bird species, nearly all of which are abundant in New Jersey. Sparta Mountain WMA was purchased with public money to be protected in perpetuity and preserved as part of the effort to protect the Highlands region, which provides clean drinking water for 70% of New Jersey’s residents. For more information, click here. Logging will remove the canopy forest, impacting Category-1 Trout Production streams which have the highest water quality in the state. Not only does this proposal threaten our natural environment, it also will negatively impact public access, recreation, and hiking. The SMWMA Plan proposes actions that will cause serious harm to forest health, resilience, and wildlife by fragmenting and impairing intact and biodiverse mature forests. Creating large forest openings within SMWMA will cause far more ecological harm than do good. These are priceless forests, whose unbroken extent is key to their health, resilience, value for native species, and landscape- and state-level importance. The SMWMA plan does not treat the forest as a complex ecological system of natural communities, but rather as a system of 33 tracts of timber commodities. 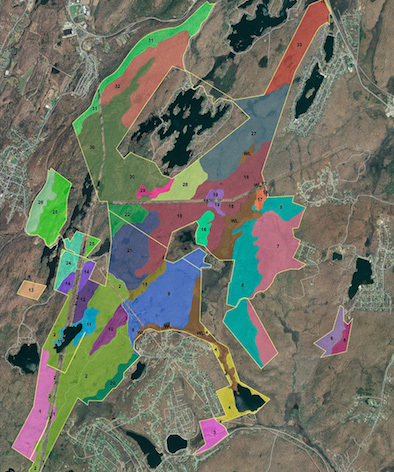 Further, this 10-year plan is a clear precursor to logging and harvesting virtually the entire 3400-acre SMWMA over the next 50 years.Click the map image for a full-sized version. Instead of carving these forests apart, the Plan should move away from inappropriate practices originally developed to maximize timber production and instead adopt stewardship actions that focus on protection of forest interior birds, plants, and other species of special concern. Contact NJDEP today to tell them to withdraw this harmful logging plan! 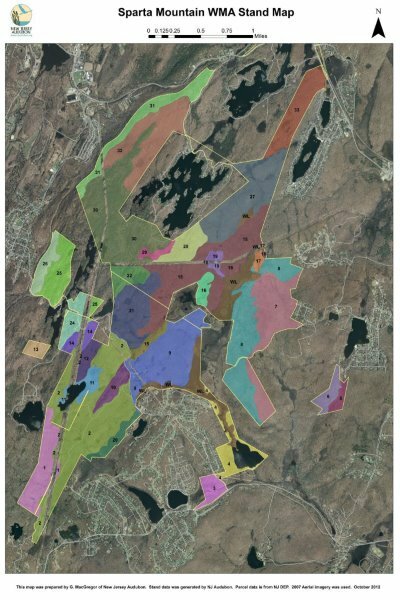 The proposed Forest Stewardship Plan fails to support the historic and current conservation goals for the Highlands region and thus fails to reflect and sustain the values for which SMWMA was preserved. The prime conservation imperatives for the New Jersey Highlands have been the preservation of the existing large tracts of contiguous forest, maximization of forest canopy cover, and prevention of forest fragmentation, in order to protect critical water supplies and water quality, and to preserve interior forest habitat, especially for neo-tropical migratory bird species. Please uphold the intent of the taxpayers by withdrawing this Plan,which stands to degrade the forest preserved with our dollars. The Forest Stewardship Plan’s basic flaw is that it fails to recognize that management of our public preserved lands must be held to the highest standards, in order to protect the natural and other resources (e.g. cultural, scenic, historic, and recreational) for which these lands were preserved, through the expenditure of dedicated public monies. Public lands management must be exemplary, to justify and support the expenditure of these funds. Conforming to less rigorous resource protection standards is unacceptable. The proposed Plan instead relies on “BMP” standards that are considerably less protective than the State’s existing rules to protect water and other resources. The Best Management Practices Manual relied on by the proposed Plan contains standards that are substantially weaker than NJDEP’s existing rules to protect water resources. The Plan not only disregards existing NJDEP Highlands rules, it also totally ignores the Highlands Regional Master Plan goals, policies, and objectives, a comprehensive set of technical supporting documents and implementing ordinances recommended for Highlands municipal ordinances. To protect our precious Highlands resources, please withdraw this plan. The proposed Forest Stewardship Plan fails to meaningfully address water quality and water supply issues of critical statewide importance. Sparta Mountain WMA contains headwaters of the Wallkill, Raritan and Passaic Rivers, as well as the Town of Newton’s surface water supply, the Morris Lake Reservoir located in Sparta Township.Groundwater infiltrated in SMWMA feeds wells within, adjacent or near the WMA, as well as supporting the base flow of streams and surface waters. Specifically, SMWMA comprises significant headwaters of the Rockaway River Watershed, part of the Passaic watershed, which supplies Jersey City’s Splitrock and Boonton Reservoirs. These waters begin their journey high on Sparta Mountain, in its many lakes, ponds, wetlands and tributaries, among them Ryker Lake, Collins Pond and Russia Brook. The proposed Plan fails to address or respond adequately to the critical statewide importance of the SMWMA as a public water supply watershed. It is not worth putting at risk these crucial water supply bodies for the implementation of a flawed Forest Stewardship Plan. 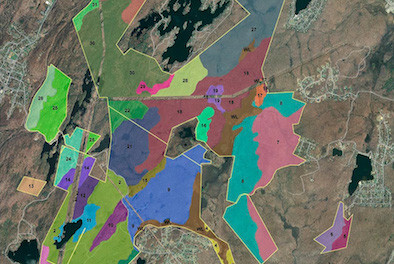 The SMWMA Plan proposes actions that would cause serious harm to forest health, resilience, and wildlife by fragmenting and impairing unusually intact and biodiverse mature forests. The Plan to log large areas of SMWMA would cause serious harm to the forests and the region. The SMWMA plan does not treat the forest as a complex ecological system of natural communities, but rather as a system of 33 tracts of timber commodities. Continuing the practice of carving up invaluable unbroken acreages of mature forests, already being deployed on SMWMA and other state lands nearby, does not promote healthy or resilient forests as the Plan claims. On the contrary, such forest fragmentation and edge creation are highly destructive, both in this biome and globally, as shown by a large body of science. The proposed Plan would cause far more harm than good to the ecosystem, its wildlife, its native diversity, and its natural integrity. For these reasons, please withdraw the proposed plan. 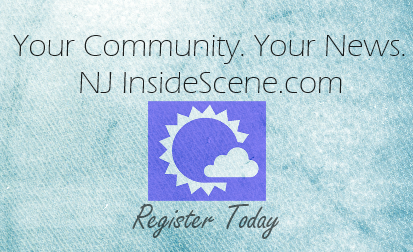 represents a diverse network of organizations – small and large, local, regional, statewide and national – and individuals with the common goal to protect, enhance and restore the New Jersey Highlands and to preserve the quality and quantity of drinking water both for the 850,000 people in the Highlands as well as the more than 5.4 million people in surrounding areas who depend on Highlands water. For more information visit our website.